You may be reluctant to criticize this traitor, but if you read the alternate news it is 100% in favor of pulling the plug on this worm. If it takes cancer to get rid of a cancer, so be it. 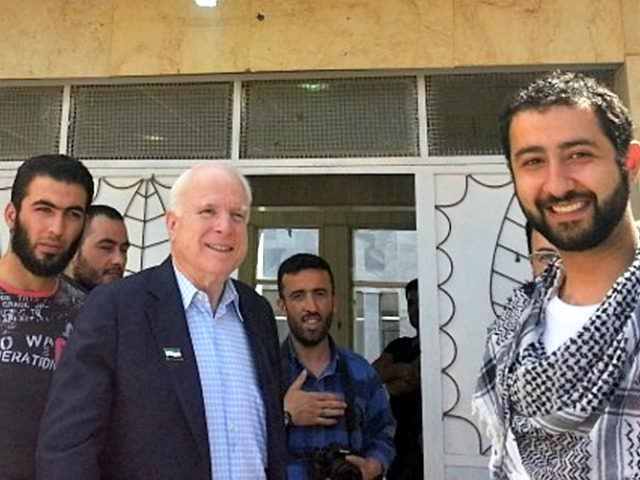 Just as Senator Mcain is an innocent victim of a modern day scourge, so are the even more innocent women and children of our modern day abomination called the military industrial complex. The phrase, “innocent victim” does not quite fit this psychopath. My apologies for being facetious, the illness does not discriminate between good and bad but the Mic ensures innocents are victims. I got blocked from twitter for posting “good! Finally!” in response to this news about mccain. my comments about the bbc being pedophiles in light of their ‘bbc pay’ revelations on their own channel no doubt helped aswell to block me for “abuse”. But then, I’m also heavily censored from posting on this website now aswell simply bc CG doesnt like what i post, or how i say it. I must be “abusing” them too. Amazing how sensitive people are these days whether theyre in government or private corporations. We live in the age of censorship despite all the technology that should ironically allow for MORE communications and MORE expression and transmission of free speech. So much for a “multi polar world”. Prolefeed for everyone no matter what side of the aisle youre on. 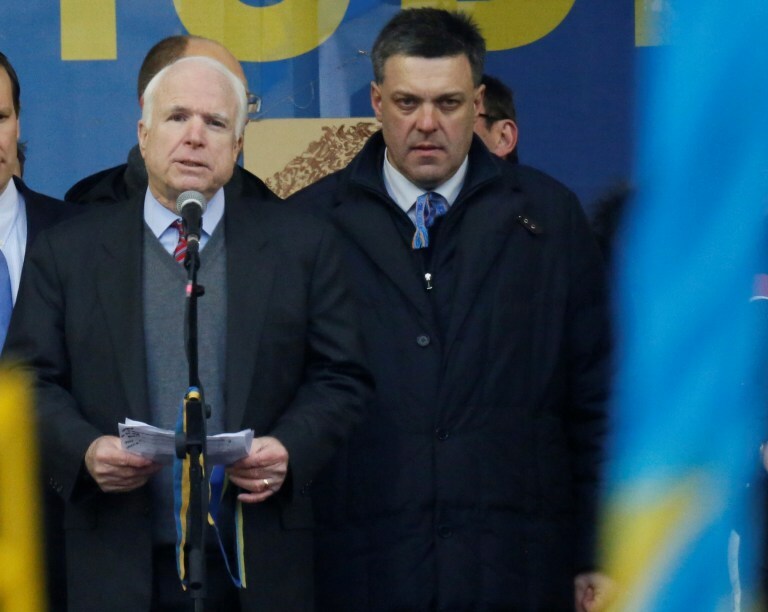 It is amazing how the Khazarian Mafia has covered for the psychopathy of John McCain since his aviator training. He already had the nick-name of “Johnny wet-start” prior to his destruction of the USS Forestall, July 1967, killing 134 USNavy sailors and wounding a similar number. Add to this his treason against fellow soldiers while in captivity in Viet Nam. Had this psychopath received the punishment he deserved, he would not have been eligible for a congressional seat. Nor would he continue to defraud American patriots, nor travel at US Taxpayer expense to Syria and collaborate with the enemy. Hundreds if not thousands of American patriots, genuine heroes, have died since WWII of cancer and various military-related illnesses. 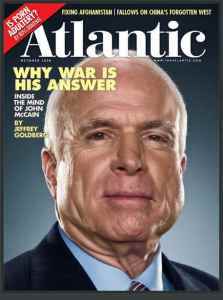 Many died alone, without the fraudulent sympathy that is afforded the psychopath, John McCain. Excellent piece thank you! Yes truth is truth– and especially when truth in its ugliest form, normally remains hidden– thank God there are still those with the courage not to flinch and expose it to a world so desperately in need of truth. 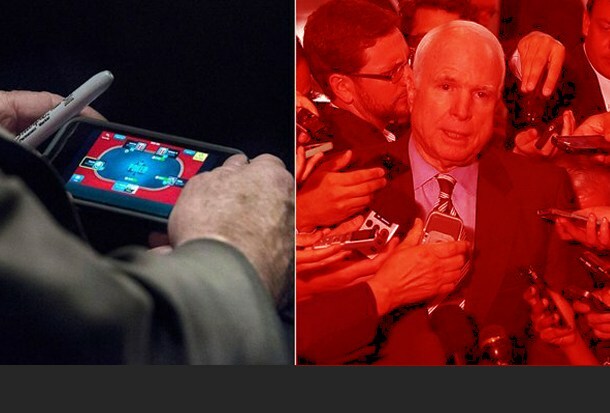 Sadly, its highly unlikely that McCain would rethink his mortality and the life he has lived, the horrific deeds he was party to doing — reflect on what he has sown and that indeed it has to be reaped…no escape for anyone– whether king or pauper — the law applies equally to us all.